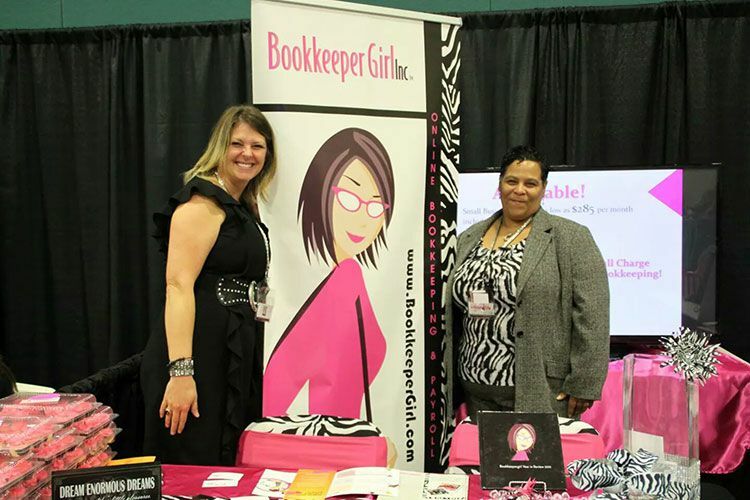 “smallGoesBIG” – Launch of the Paducah, Illinois Bookkeeper Girl - Bookkeeper Girl - Affordable. Online. Trustworthy. What a perfect theme for the Launch of Bookkeeper Girl Illinois. I attended the Paducah Area Chamber of Commerce’s Business 2 Business Tradeshow on October 16th, 2014, with one of my Super 7 consultants – Lisa James. It was amazing. We were warmly welcomed by everyone in the business community as we celebrated Lisa’s Ribbon Cutting ceremony at our booth. 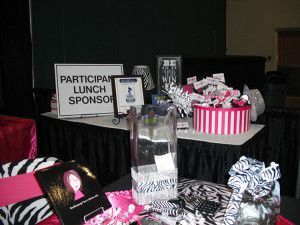 Speaking of our booth, it was of course branded with all kinds of Bookkeeper Girl bling: black and white zebra print, hot pink, and rhinestones and flash. “Most-unique booth, Very eye-catching, and Best booth of the show” were some of the compliments given. Lisa and I charmed and wowed the participants and the media present as well. We started a sponsorship with the VUE magazine, an up and coming media group that covers local interests. 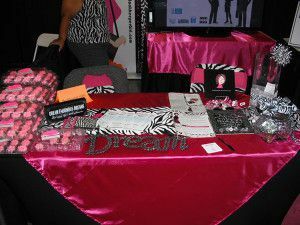 Over all we talked with more than 100 local business owners that hopefully will become future clients. One of the amazing things is that there was no competition in the room, just fellow business owners networking with one another. I’m so glad to have Lisa as a part of our Bookkeeper Girl family. I know she will take excellent care of our clients in the Illinois area, and I look forward to her growing the business and mentoring future Bookkeeper Girl Consultants in the area. I want to thank the Paducah Chamber of Commerce for being so welcoming to us. I know we have found a good home with this organization and look forward to a long partnership with them. To say this event was exciting is an understatement. What a great avenue of bringing together business owners and associates to learn and grow together. Looking forward to next year’s show and meeting new people.